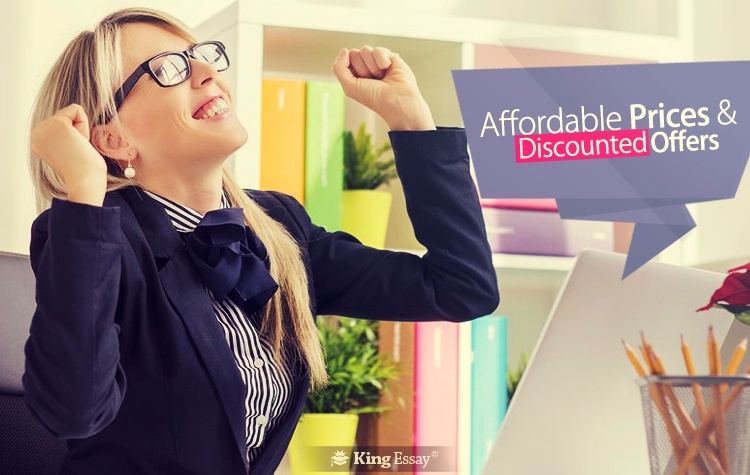 King Essay introduces the lowest prices in the market for the first time with the same high quality services. We understand that most of our clients are associated with educational institutes. This basically means that they have a low budget and there can be no compromise on quality. That’s why, we are offering the best rates in the market without a compromise on quality. Now you can get the best quality work at the most competitive rates in the market. We encourage visitors to compare our prices and our essay help with other writing service providers. You will notice a huge difference in the costs. We offer seasonal discounts and special promotions as well. Prices play an important role in keeping the customer connected to the company. Some companies decrease charges in the hopes of the growth of the business but can’t maintain the quality. In the end, the company must lower price with a decline in quality or go back to the higher charges and offer the best quality. But King Essay’s motto is we never compromise on quality. So to maintain our quality with best standards in affordable price, we have found a middle way. Our core technique for cost controlling is creating competition among writers. We assign more task to writer who have good reputation according to our system. Also the writer is bidding low price for the task. This procedure allow us to offer best quality coursework writing service in reasonable prices.